www.SchoolsInDubai.com – UAE's Schools Blog, Schools in UAE: Dubai, Abu Dhabi, Sharjah, Ajman, UMQ, RAK, Fujairah – Facts about Education in UAE from KG to K12. Ministry of Environment and Water successfully concludes activities of National Environment Day. 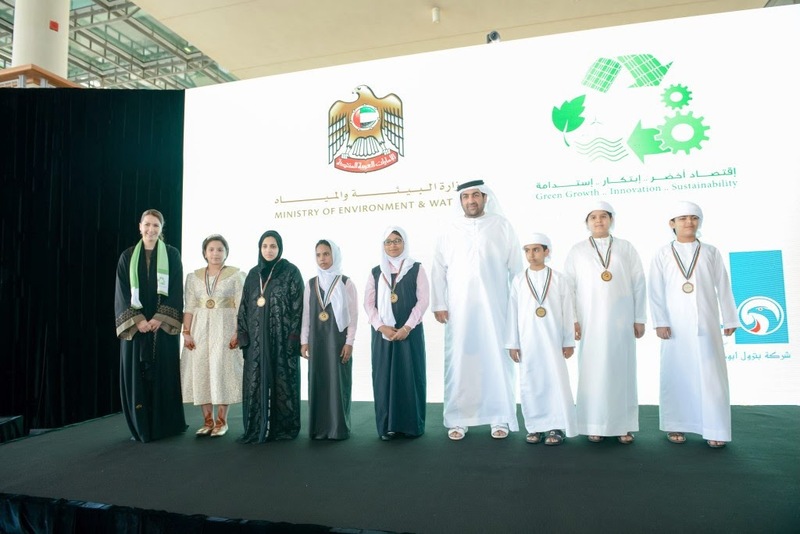 UAE, March 5, 2015 –His Excellency Dr. Rashid Ahmed Bin Fahad, Minister of Environment and Water, attended the concluding activities for the UAE’s celebration of the 18thedition of National Environment Day held today (Thursday, March 5, 2015) in Abu Dhabi. The event which is held every March 4th under the patronage of His Highness Sheikh Khalifa Bin Zayed Al Nahyan, President of the UAE, was attended by government and private institutions, civic organizations and members of the local community. Also present during the event were Dr. Sheikh Abdul Aziz Al Nuaimi, who is more popularly known as the ‘Green Sheikh;’ Mohammed Saleh, Director General, Federal Electricity and Water Authority (FEWA); Ali Mehad Al Suwaidi, Acting Undersecretary, Ministry of Education; Riyadh Bin Aylan, Director General, Sharjah City Municipality; Khaled Huraimel, General Manager, Bee’ah; Dr. Ali Mohamed Ibrahim, Chairman, Environment Friends Society (EFS); Dr Mohamed, MENA Regional Director, International Fund for Animal Welfare (IFAW) and a number of officials and representatives from different government agencies. During the ceremonies, Dr. Bin Fahad stressed on the importance of National Environment Day, which has been celebrated for the last 18 years. The event, as he pointed out, has been implemented along with other government programs and initiatives with the objectives of increasing environmental awareness and encouraging UAE nationals and residents towards more sustainable and environmentally friendly practices. In his speech, the Minister also pointed out the need for greater attention at the national level and greater integration and harmony between efforts, programs and awareness strategies rolled out by the Ministry and other environmental authorities. H.E. Bin Fahad shared that this year’s event has received both broad and formal public interest, which was widely reflected in the overwhelming response generated from the planned activities and events that were held as part of the annual celebration. He further added that the events highly excelled in innovation and creativity, reflecting the backbone of knowledge for the ministry. For the first time in 18 years, a separate website was created for National Environment Day—featuring information about the event itself, related activities, the environment, green economy and particularly focused on innovation in addressing critical environmental issues. The Minister stressed that education and awareness are considered essential factors for the efforts towards environmental preservation and development. An important part of these policies depends on key criteria like culture, awareness and the decisions and actions made by individuals or groups on the environment and its resources. Towards the end of his speech, H.E. Bin Fahad expressed his gratitude and appreciation to government agencies, various media organizations, public welfare associations and environmental authorities who have helped in organizing this year’s National Environment Day celebrations. The ceremony also featured a short film presentation about innovation and its importance in the move towards preserving the environment. Engineer Mariam Saeed Hareb, Director of Environmental Education and Awareness, Ministry of Environment and Water, gave a summarization of all the events that transpired during National Environment Day. This was followed by a graduation of a group of environmental ambassadors from the seven emirates who participated in a series of intensive training and workshops on various environmental issues. The initiative, which is a project organized in partnership with the Ministry of Education, was sponsored by the Abu Dhabi National Oil Corporation. The highlight of the closing ceremony was the launching of the National Strategy on Environment Education and Awareness—an initiative that follows the Ministry’s commitment towards raising the level of environmental awareness in the UAE. The strategy, which will be implemented from 2015 to 2021, represents a unified qualitative step towards ecological awareness and efforts to preserve the local environment. H.E. Bin Fahad emphasized that the strategy represents the ongoing efforts to raise more awareness in saving the environment, which also falls in line with the vision and objectives set by UAE Vision 2021. Engineer Hareb explained that the strategy is focused on six key objectives that were based on international standards and guidelines of the parties involved. The program aims to educate the country’s younger generation and encourage them to lead the UAE towards a sustainable future and strengthen the community’s commitment to sustainability and environmental protection. The launch also aims at encouraging active participation from the public and private sector; educate governments and key stakeholders on environmental issues and to ensure the integration and effectiveness of environmental awareness campaigns. Lastly, Minister Bin Fahad toured the ‘Wall of Knowledge,’ an initiative that aims to raise the awareness and knowledge on key environmental issues and concerns with the use of the latest technologies available today. ‘The Wall of Knowledge’ features the ability to connect more than one smart device at a time to create an internal network that integrates elements of the real world with the digital world, using more than 25 electronic minds. 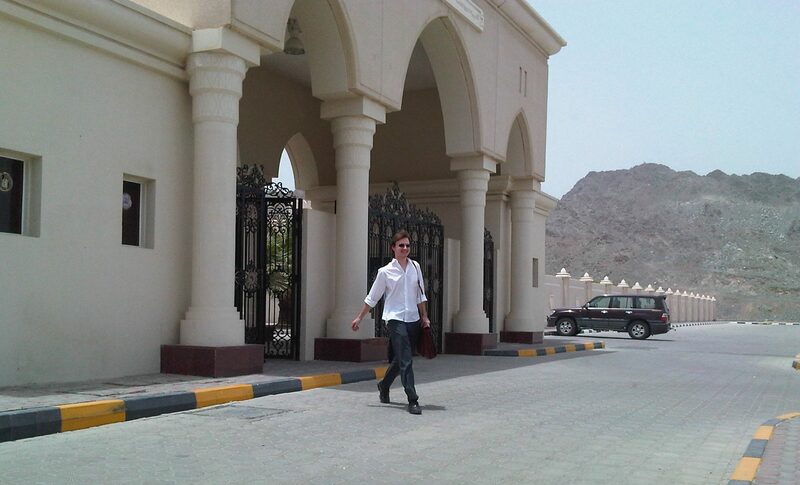 Hello Schools in Dubai Readers ! H.E. Humaid Mohammed Al Qatami. Summer camp Dewa young engineers.